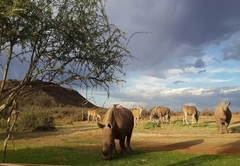 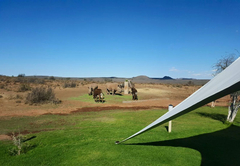 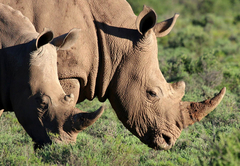 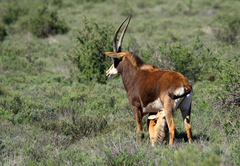 Camp Nguni is a highly recommended Northern Cape game lodge providing a wildlife experience for discerning tourists visiting Upper Karoo. 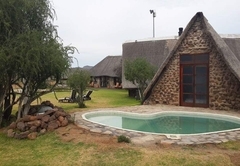 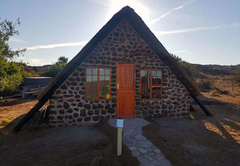 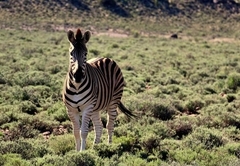 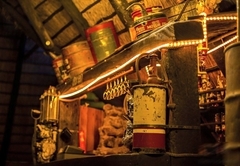 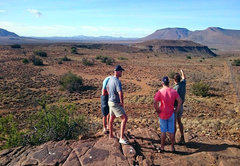 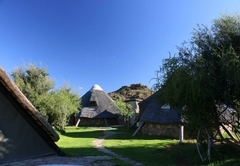 Camp Nguni offers accommodation in a wildlife reserve and is the ideal place to come for those wanting to explore the Karoo. 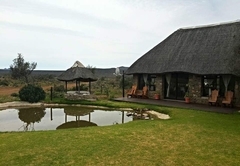 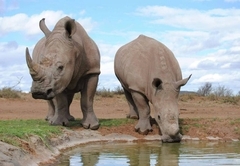 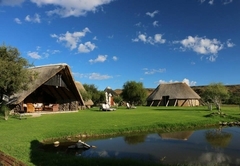 The reserve is situated on a farm in Victoria West and boasts magnificent scenery. 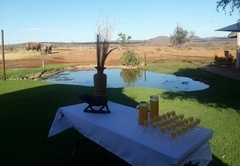 Enjoy true Karoo hospitality and relax with a glass of wine while watching the spectacular sunsets. 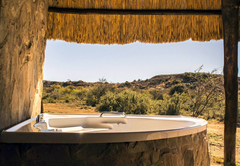 Wake up in the morning to the sound of nature around you and spot the giraffes stretching their legs near the waterholes. 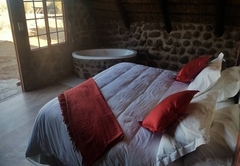 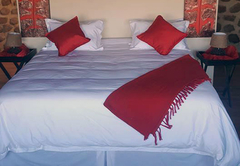 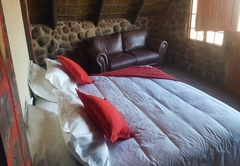 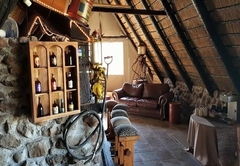 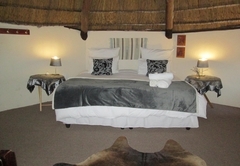 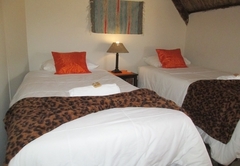 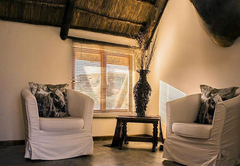 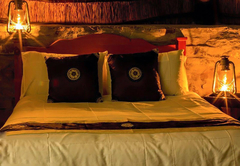 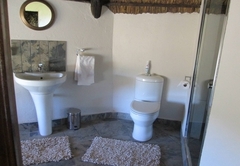 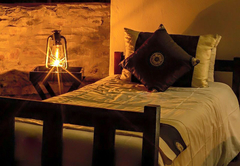 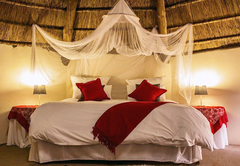 Our luxury accommodation is offered in four rondawels and two suites. 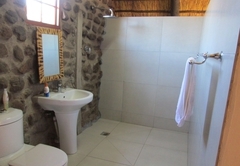 The units all have Wi-Fi, a fan, electric blankets as well as tea and coffee making amenities, a hair dryer and complimentary soaps. 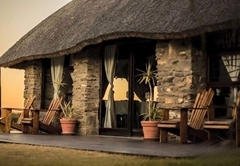 Our in-house chef is well known for his fabulous traditional dishes and will guarantee an extraordinary dining experience at Camp Nguni. 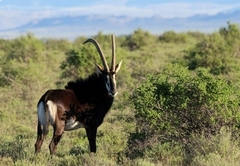 Response timeCamp Nguni typically responds to requests in 5-10 minutes.